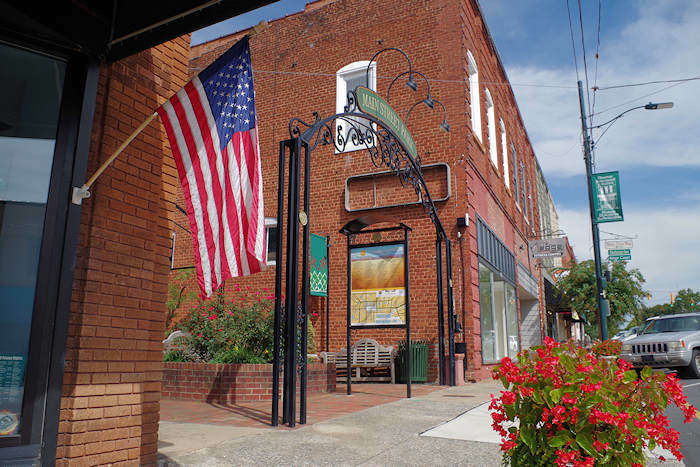 Both history buffs and nature lovers will love this easy hike near Rutherfordton and Columbus. 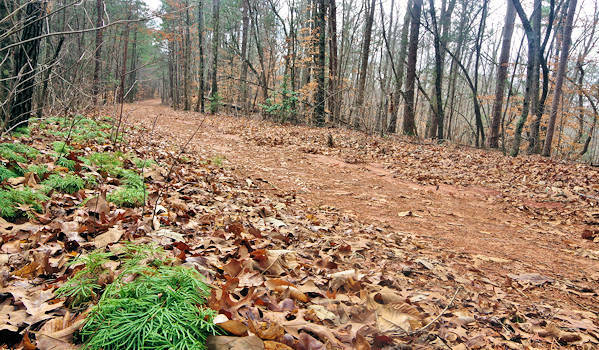 At Alexander's Ford, walk a section of the Overmountain Victory National Historic Trail, which traces the route used by 1,800 patriot militia during the Revolutionary War on October 5, 1780. 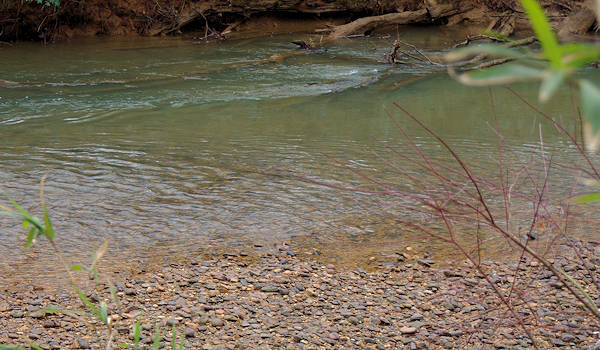 This 1.5-mile easy hiking trail follows the old road bed and ends at the Green River. 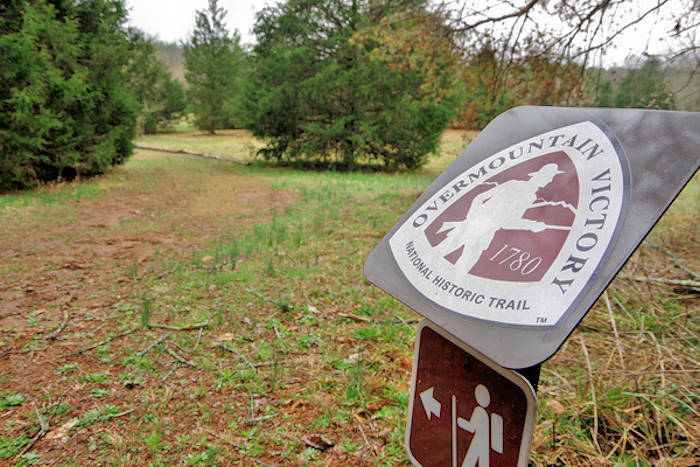 The Overmountain Victory National Historic Trail stretches 330 miles through four states (Virginia, Tennessee, North and South Carolina), ending at the site of the pivotal Kings Mountain battle. About 87 miles is now open to walk. 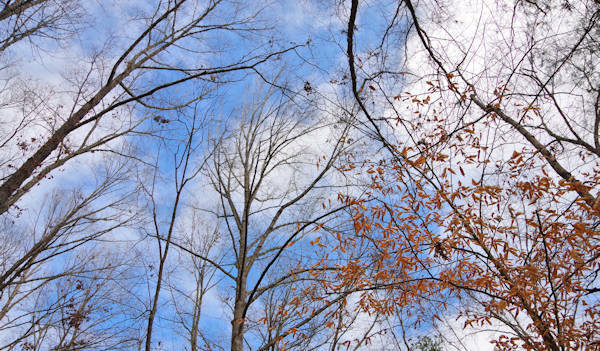 Conserving Carolina and Polk County Community Foundation facilitated permanent conservation and public ownership of 162 acres to create the Bradley Nature Preserve at Alexander’s Ford in 2012. The Preserve includes the trail and the site of the militia’s encampment on the banks of the river, just prior to their victory at the Battle of Kings Mountain, the turning point of the Revolutionary War. The first part of the unpaved trail meets Americans with Disabilities Act requirements with a gentle enough slope that is easily walked. Some muddy sections create a challenge for wheelchairs and scooters. The entire trail is mostly level with some slightly uphill sections. In addition to the picnic shelter at the trailhead, find benches and picnic tables along the hike. The trail ends at the camp site, just before the ford in the Green River where soldiers crossed on their way to King’s Mountain. There is no access to the river to protect that fragile area. Take a peek at the ford in the river, created by a swallow area with many river rocks. Then enjoy the stroll back to your car. There is no visitor center or restrooms. It's open every day, sunrise to sunset. No camping. 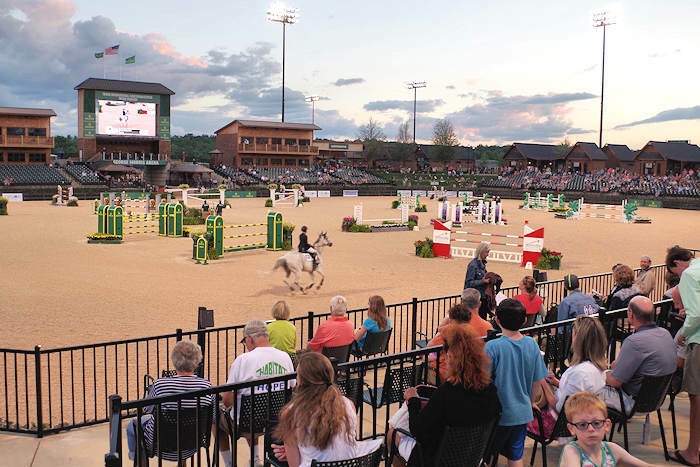 Tryon International Equestrian Center is just 5 miles away. 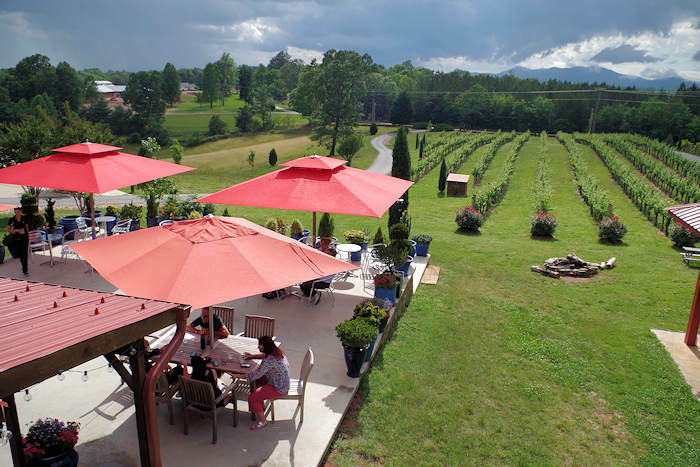 Visit wineries of the Tryon Foothills Wine Country. There are no directional signs. GPS address is 500 Grays Chapel Church Rd, Rutherfordton, NC 28139. The road ends at the historic Grays Chapel United Methodist Church. Turn right just before the church and drive a short distance to the picnic shelter, parking and trail access. Located 1.5 miles off NC 105 between Columbus (13 miles away) and Rutherford (7.5 miles). It's 52 miles from downtown Asheville via I-26 East. It was October 4, 1780. A patriot army of some 1,600 men made camp for the night on the banks of the Green River at a crossing that would later become known as Alexander’s Ford. The militia had traveled nearly 300 miles, with some soldiers having come from as far away as Tennessee and Virginia, in pursuit of Major Patrick Ferguson and his British army. Unbeknownst to the patriots, it would be their final rest before fighting the Redcoats in the bloody Battle of Kings Mountain. Every autumn, re-enactors travel the 330-mile route of the Overmountain Men, as the original patriot militia came to be known, camping in the same locations and following the same trails and roads. The patriots marched in pursuit of Major Ferguson in retaliation for his threats to colonial settlers in the southern highlands. On horseback, they crossed both the Appalachian and Blue Ridge ranges—hence “Overmountain”— through rugged terrain and poor weather, and with limited provisions. In less than two weeks, the volunteer army reached Alexander’s Ford. Two days later, they finally caught the British troops in South Carolina, and defeated them at the infamous Battle of Kings Mountain. The battle proved to be a decisive turning point in our young country’s fight for freedom. It was at Alexander’s Ford that General William Campbell, commander of the patriot army, made two critical decisions. With many soldiers near their breaking point, Campbell sent ahead only his best men and horses to fight the Redcoats. While this decision split his force, the soldiers who continued onward had more speed and fervor. 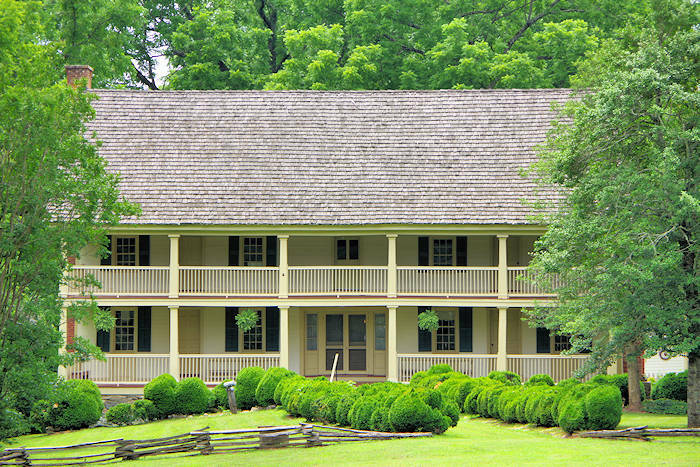 Also at Alexander’s Ford, Gen. Campbell received crucial intelligence—Ferguson and his troops were headed east to unite with the main British Army. The patriots then changed their course to intercept Ferguson’s men.